The Swiss blog Offiziere.ch has recently published a piece by Paul Pryce, analysing the Brazilian Navy’s current endeavours whilst trying to figure out what bearing it is sailing. Pryce evaluates the ‘quiet expansion’ of the Brazilian Navy, and whilst he delivers a brief but sound level of analysis, he fails to deliver an accurate reading of some of the key underlying issues. These issues include the ‘military industrial compound’ dimension of the Navy, the often unspoken aspects of civil-military relations in Brazil and the competition for budget between branches. Pryce maps out the debate about whether Brazil wants a brown, green or blue water Navy, but fails to contextualise the process in the hardships of a troubled civil-military relationship in a ‘recently established’ democracy. He analyses the Navy as if it was a single by-product of wider state determinations, without opening up the ‘black-box’ and examining the diverse layers of interaction between the various existing actors. As I will argue, Brazil’s naval expansion is not a ‘quiet’ one, nor is it particularly surprising. It is rooted in the way the Brazilian defence establishment rethinks its role in a ‘new, global Brazil’ whilst taking into account the complex relationship between the country’s Armed Forces and the Executive branch. Since the 1964 Military Coup, the civil-military relationship has yet to be seen as a positive factor in the country’s defence establishment. For example, the fact that even though military rule ceased in 1985, it was not until 1999 that Brazil’s Ministry of Defence was even established. Before that, armed forces commanders would report directly to the President and be classed as Ministers (each branch had its own Ministry), thus retaining a disproportionate amount of political leverage. Despite a reduction in leverage in recent years, ‘old-schoolers’ frequently attempt to retain this imbalance of power. The civil-military relationship in the country still represents a rather turbulent sea to navigate, with constant fears of revanchism and mistrust. The branches of the military have always competed for prestige and, just as important, budget. This competition materialises in the pursuit of self-justified ‘pet projects’. The nuclear-powered submarine is one of those projects where all three branches of the military competed to obtain an edge on nuclear technology, pursuing different courses of action. The Navy emerged ‘victorious’ in this process where building a Nuclear Submarine is seen as the final seal of excellence in in-force technological development as part of the ‘military industrial compound’ dimension of the Navy. How has Brazilian defence policy embraced this industrial dimension? Each branch creates policy on its own terms, whilst the Ministry play the more passive role of coordination. Once again, the recognition of a national savoir-faire is part of the reason why Brazil has sought to natively develop and build ships. At the same time, the defence sector (across all branches) will only issue tenders for imports of military material that involve heavy technology-transfer and, in most cases, national manufacturing. An intense concern of Brazilian defence stakeholders is that relying on non-native technologies could restrict military capabilities in critical moments, or even create potential weaknesses in Brazil’s defence apparatus. This supports the belief that technological development – even if detached from immediate tactical or strategic considerations – is paramount to the country’s defence grand strategy. “…is not aimed directly at dissuading another state from attacking, at repelling attacks, nor at compelling it to do something specific. The objectives for swaggering are (…) displaying one’s military might (…) and buying or building the era’s most prestigious weapons. (…) it aims to enhance the national pride of a people or to satisfy the personal ambitions of its ruler” (Art, 1980, p.10). From an in-branch perspective, sailors seem more-or-less satisfied to become a blue-water Navy. The myth of a ‘strong / big Navy’ is common, and Naval officers are embedded in a culture in which they aspire to command an aircraft carrier or a nuclear submarine – projecting power far from home – very few see a successful career endpoint as commanders of patrol ships. The Brazilian Navy is also investing in smaller vessels, like the Macaé-class and the Amazonas-class offshore patrol ships yet they cost a fraction of the nuclear programme and are even more insignificant if compared to the broader re-equipment of the fleet. Take a symptomatic grandeur; the Brazilian Navy’s ambition to operate three aircraft carriers and have the southern hemisphere’s largest submarine force by 2050. From a between-branch perspective, maintaining a big Navy means increased resources channelled from the defence budget. This means more ships, more support structures and, consequently, the need for more personnel, more command posts and more responsibility that, in turn, requires higher salaries. If the force can assert its usefulness and efficiency to the Ministry of Defence, there is a belief that it is more likely to receive greater resources than its counterparts. President Rousseff proudly declared that Brazil is now part of a limited group of states that have access to nuclear submarines, making comparisons to those who have a permanent seat on the United Nations Security Council, an old aspiration in Brasilia. Rousseff also boasted that natively building submarines was a ‘symbol of a new Brazil being created’, highlighting the importance of ideational factors in the decision to obtain this technology. Even if we are not sure how these vectors of power will be useful, it is likely that – one way or the other – they will, even if only to assert that Brazil is a country that deserves to be considered in the great power club. Great powers have great navies; it always has been so. Making this particular pitch allows the Navy to get buy-in from the Ministry of Defence and the Ministry of Foreign Affairs. 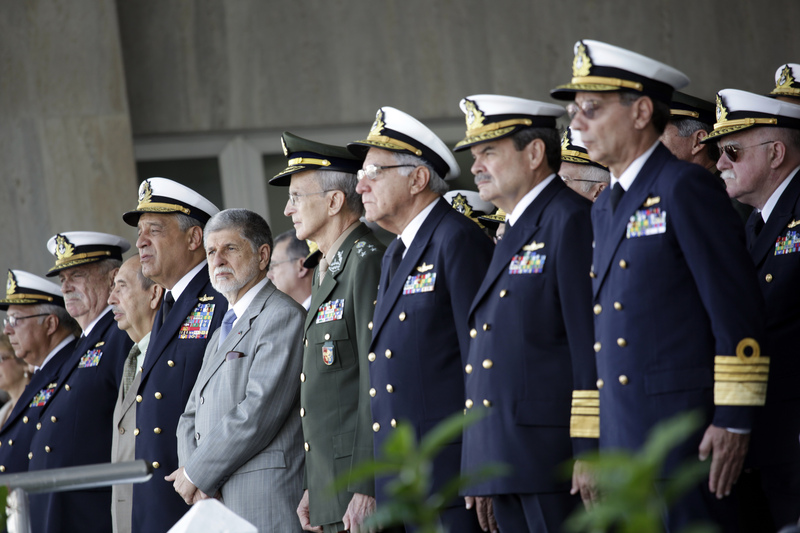 Would the rise of a powerful Brazilian Navy raise complex diplomatic questions? I wouldn’t worry too much about the possibility of nuclear proliferation. Brazil has agreed not to develop nuclear weapons but wishes to retain nuclear technology for other purposes, something that can prove to be complicated within the non-proliferation regime, constantly requiring delicate diplomatic management. Exporting nuclear technology (especially to ‘rogue’ actors) would certainly backfire and cause more trouble than good. I would agree with the argument that Brazil seeks to affirm itself and be part of the club, rather than destabilise the delicate nuclear regime. Which brings me to my second point about diplomacy: Brazil wants to be part of the club of great powers and wants to be recognised –acta, non verba – as a peer. Brazil, therefore, doesn’t want to be part of an agreement with NATO that makes them a ‘follower’ rather than a genuine ‘partner’. If NATO wants to approach Brazil for initiatives for expanding cooperation regarding the South Atlantic, it has to do so by courting Brazil’s legitimacy as a regional power and fully-fledged partner in the area. Whether this is a political possibility across both Southern and Northern latitudes over the Atlantic, remains to be seen. By any rate, it is unlikely that Brazil’s nuclear submarine will be seen as projecting power from its coasts anytime soon. The dual purpose of the Brazilian defence procurement makes it hard to sum up a detailed answer to the question of where Admirals are going. Are they more concerned with the defence industry or with operationality? Are they seeking means to swagger internationally or are they hedging (im)possible futures? Are they in line with, or rather trying to shape, Brazil’s defence and foreign policy grand strategies? If I can allow myself, here’s a cautionary note: it seems more probable that Brazil’s future naval challenges will look something like the 1961-63 Lobster War than like the Battle of the Pacific. Unchallenged control of the South Atlantic is a delusional desire. The ‘quiet expansion’ of the Brazilian Navy is far from quiet, even if it does not get the same amount of attention than the naval endeavours of China and India. * This was re-published from Security Dilemmas, a blog by the Institute for Conflict, Cooperation and Security (ICCS), at the University of Birmingham.